1. regular nail lacquer line - my favourite formulation! the polish goes on very smoothly and opaquely so i am quite impressed. there is a very nice shine to the lacquer. 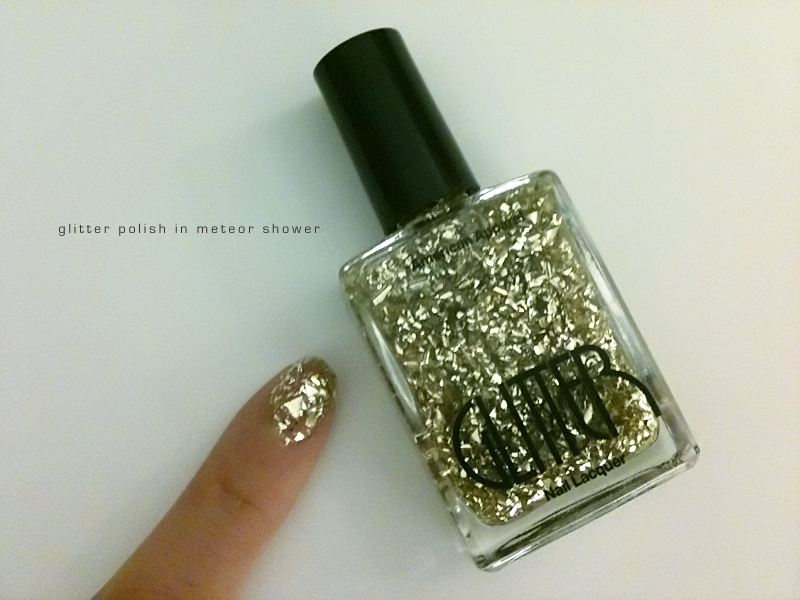 2. glitter line - i had a little trouble applying the glitter polish so i think i need to watch a youtube tutorial. :) now that i'm wearing the polish, i'm finding the 3d texture to be uber distracting - i feel like picking off all the glitter. 3. metallic line - my second favourite formulation! 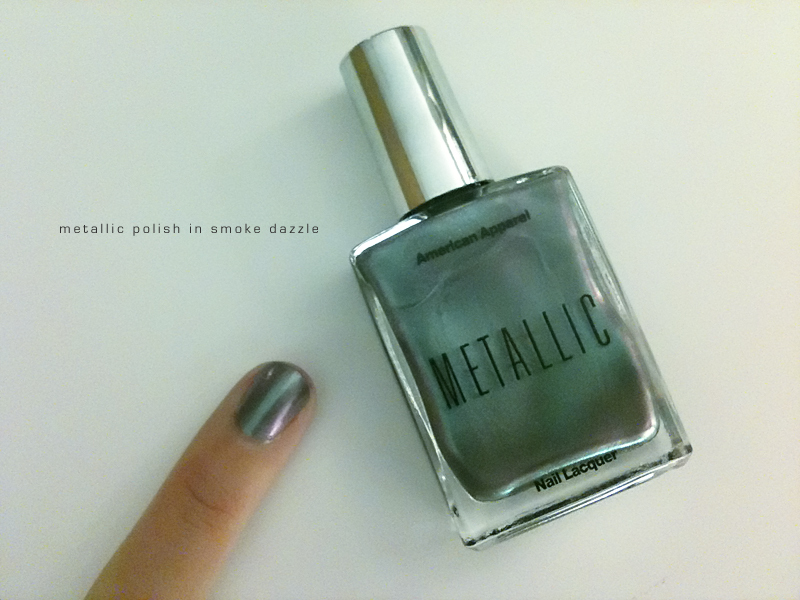 i'm not a huge fan of metallic polishes but the tones in the american apparel line are very neutral so me likey. 4. neon line - my least favourite forumlation. this was the only polish that left me feeling a little disappointed. the polish went on very sheer and had a matte finish. i put on 4 coats plus a top coat... the colour was not as neon as i expected but the colour was alright so i'll give it another go. see all the available colours here!